Islam Around Us: New attacks in Iraq kill 5 Sunni militiamen. 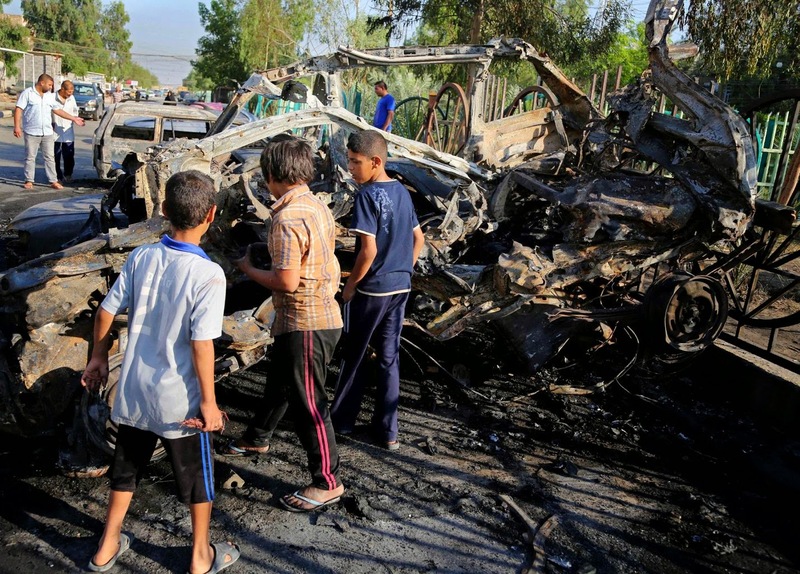 BAGHDAD | AP | 16 may 2014 : : Separate attacks in Iraq killed five members of an anti-militant Sunni militia on Friday as an al-Qaida splinter group claimed responsibility for a spate of Baghdad bombings that killed at least 19 people the day before. Insurgents frequently attack members of the Sunni militia, also known as Sahwa, which joined forces with U.S. troops at the height of the Iraq war to fight al-Qaida. In one of Friday's attacks, gunmen opened fire from a speeding car, targeting a security checkpoint manned by anti-al-Qaida Sunni fighters near the town of Balad, 80 kilometers (50 miles) north of Baghdad. Three Sunni fighters were killed and four were wounded in that attack, police officials said. Hours later, a roadside bomb targeted a patrol of Sunni militiamen just north of Baghdad, killing two fighters and wounding four. Medical officials confirmed the casualty figures. All officials spoke on condition of anonymity as they were not authorized to talk to media. Also Friday, in a statement posted on a militant website, the Islamic State of Iraq and the Levant said it had carried out attacks in the Iraqi capital the day before in retaliation for the military operations against the city of Fallujah in western Anbar province. Fallujah has been in the hands of the Islamic State and other Sunni insurgents since last December. Thursday's violence included bombings near several government offices and an outdoor market in Baghdad. The statement's authenticity could not be independently verified but it appeared on websites commonly used by the group. "We tell the spiteful Shiites and their government... that our lions are craving the taste of your flesh and blood," it said.